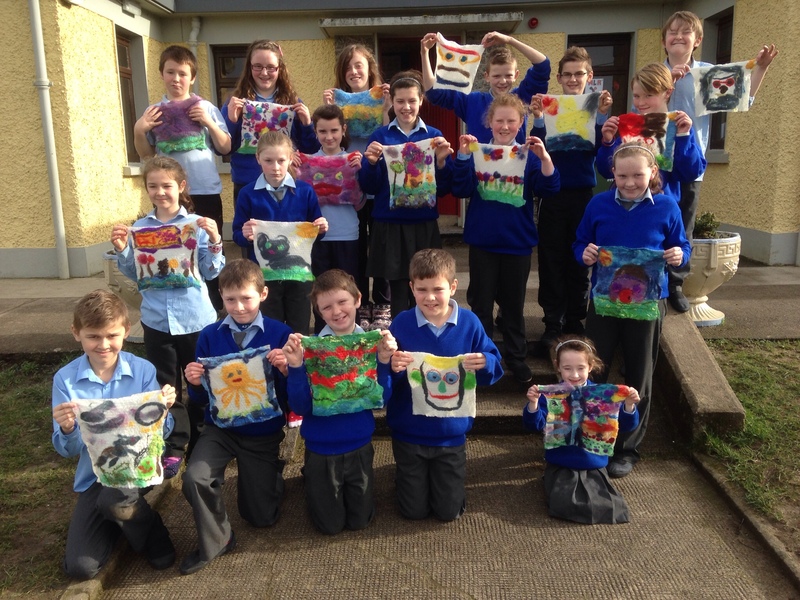 Houston calling and fun felting at Ballymurphy National School! I'm really happy to confirm that I'll be heading on from a Dallas to teach for two days in Houston, thanks Barbara for inviting me! 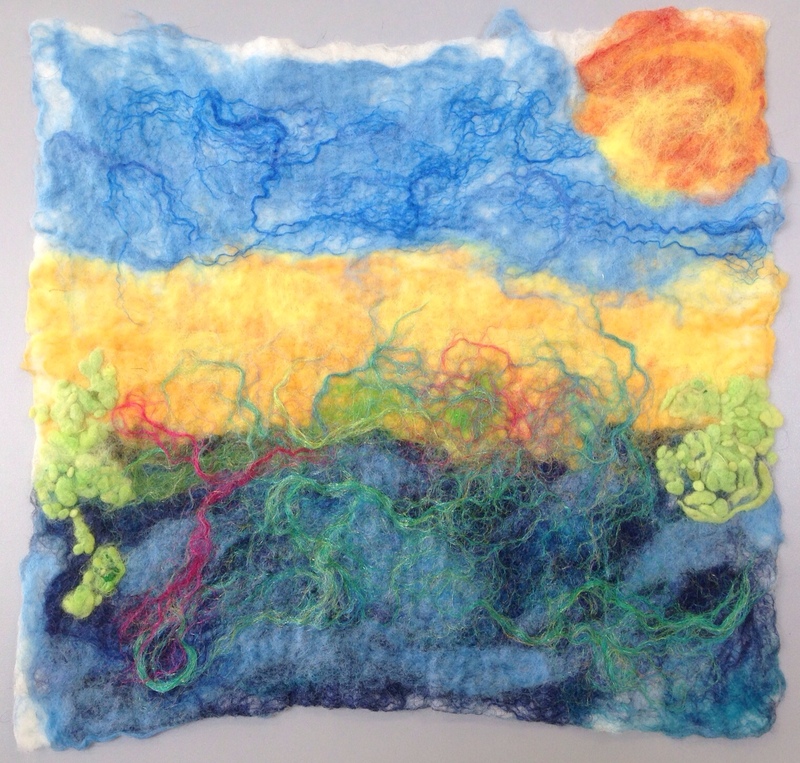 We're planning a one day felt vessel workshop on Monday 28th April followed by a one day natural printing workshop on Tuesday 29th, finalised details should be posted here tomorrow or the next day. 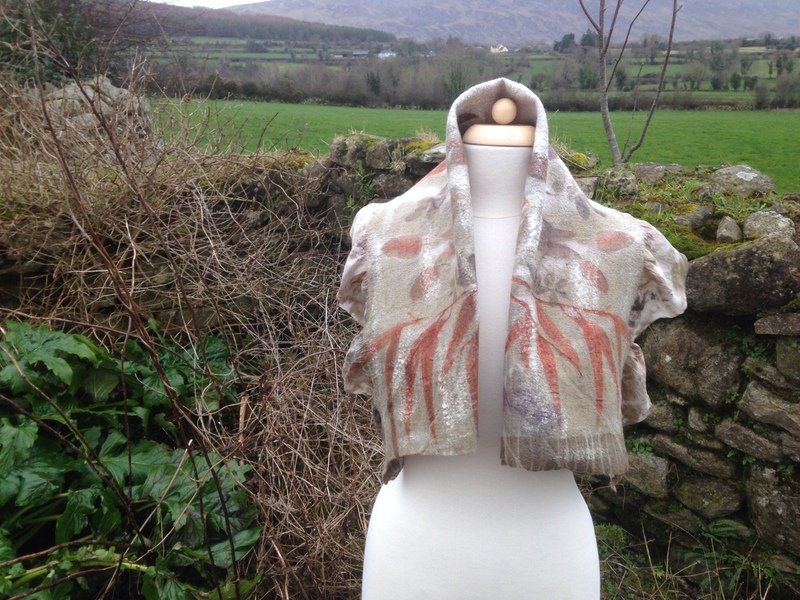 Here're two pictures of a small naturally printed wrap that I felted last week, this time combining eucalyptus leaves with blackberry and rose leaves from my garden. 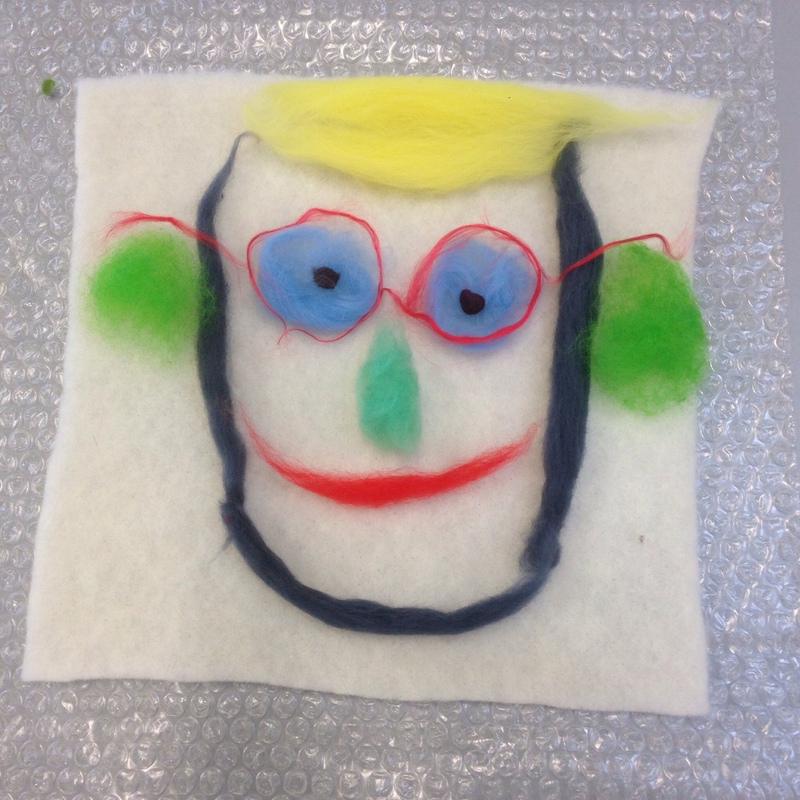 Now on to my main activity for a lot of last week…..
On Tuesday, Wednesday and Thursday I had the pleasure of introducing the 50 pupils at Ballymurphy National School to the joys of working with fibre. 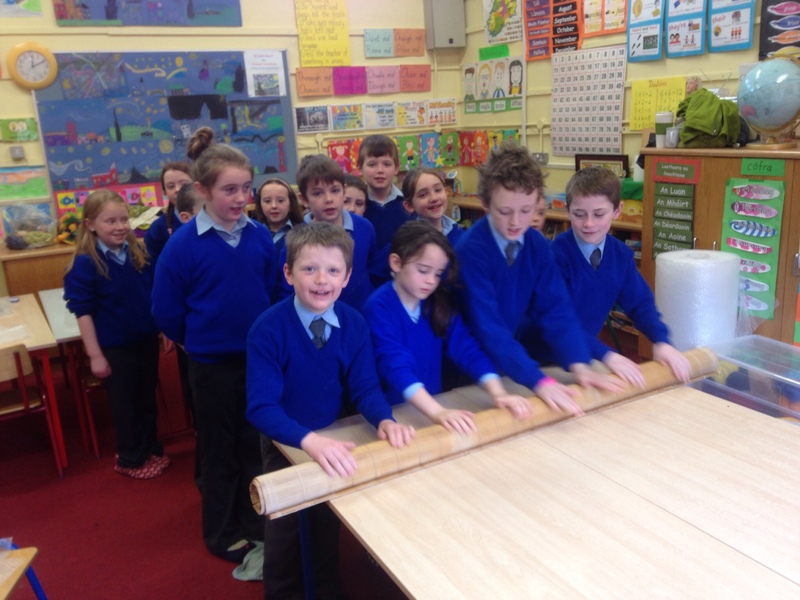 This school is actually about ten minutes walk from Clasheen through the fields, obviously though I had to drive because otherwise I'd never have managed to bring all the necessary materials and bubble wrap! For those of you living in countries with a different junior school system, usually children go to national (primary) school from the ages of 4 to 12, sometimes in small rural schools such as this there might be actuall classes with no pupils, strange but true! Anyway, as you can see from this series of images a fabulous variety of stunning felt pictures was created. Inspiration was varied but the surrounding mountainous landscape and portraits were two popular themes. I'm going to load all the pictures I took to an album on Facebook later today, this way you can have a look plus all the pupils will have a reminder of what we got up to! 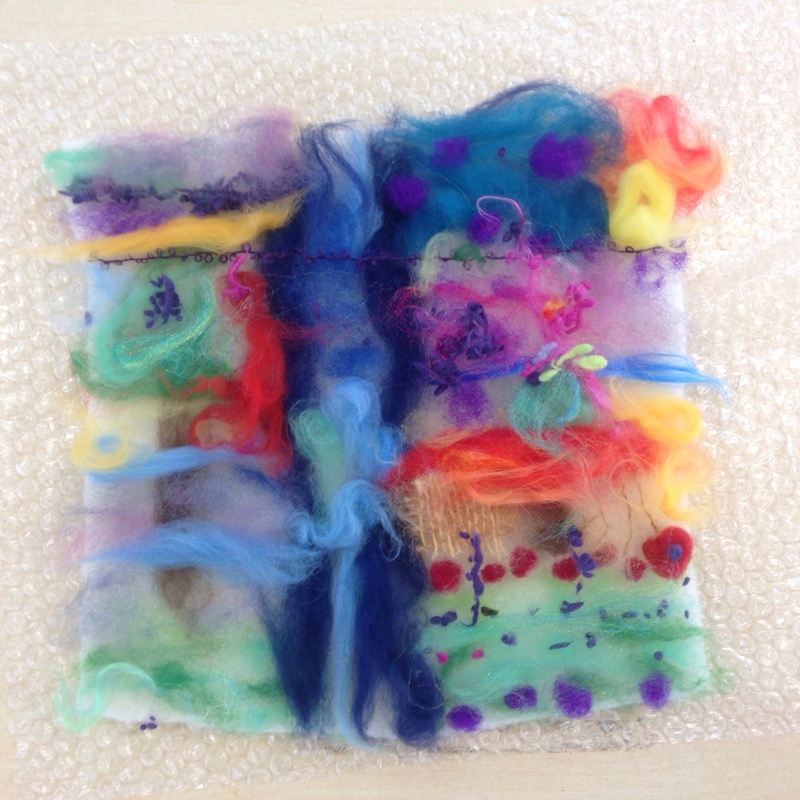 This entry was posted in America 2014, Felt, felting workshops, Houston and tagged Ballymurphy, Ballymurphy NS, Felting, felting at Clasheen, felting workshop with Nicola Brown, natural printing, nuno felt by Nicola. Bookmark the permalink. What a wonderful experience for the children. Oh how I wish we had had the chance way back when. 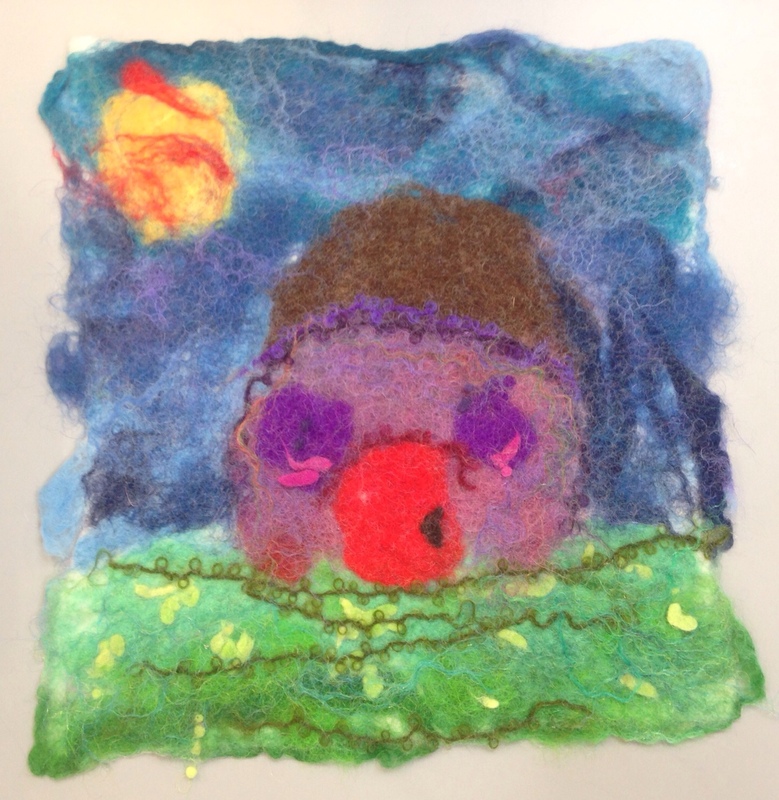 I agree with Joy – I wish I’d experienced felting when I was a child. 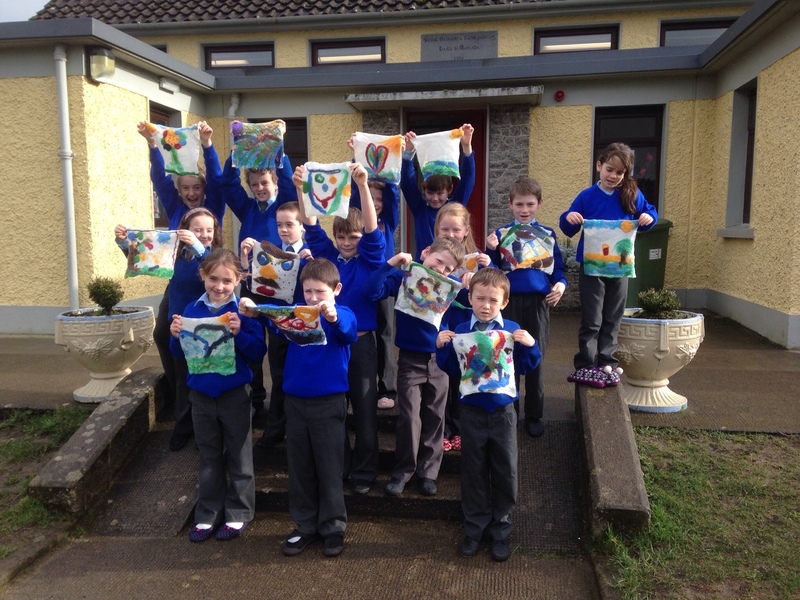 Their pictures are joyous! They’re so creative and color sense. Such beautiful pictures they made. Wonderful that you’ve more and more teaching in the States. 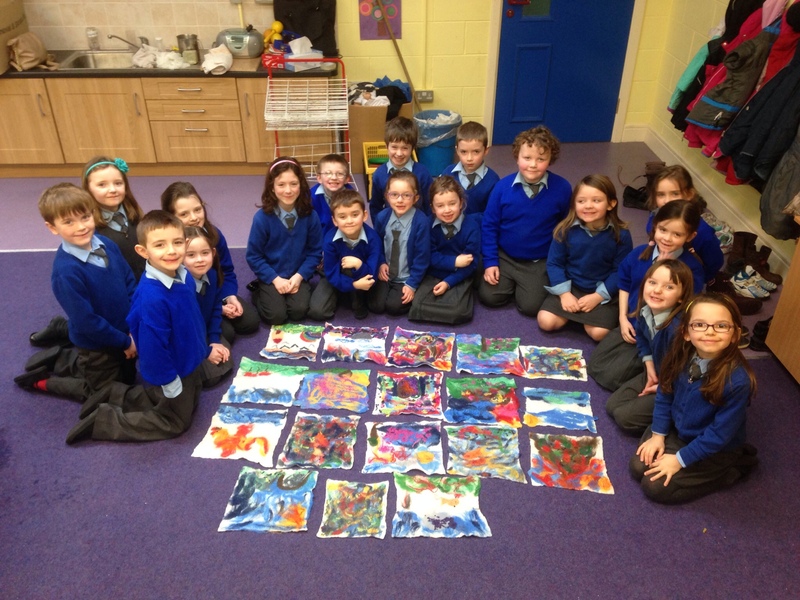 Love the children’s art. I see you use prefelt. Do you make your own? 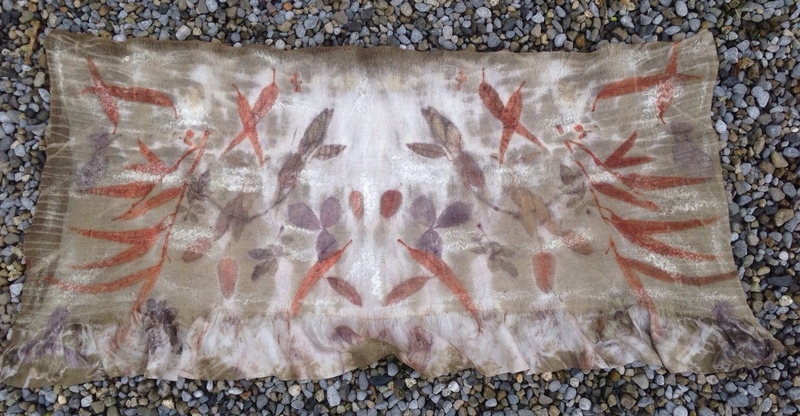 Thank you for all of your shares…and the beautiful eucalyptus wrap. 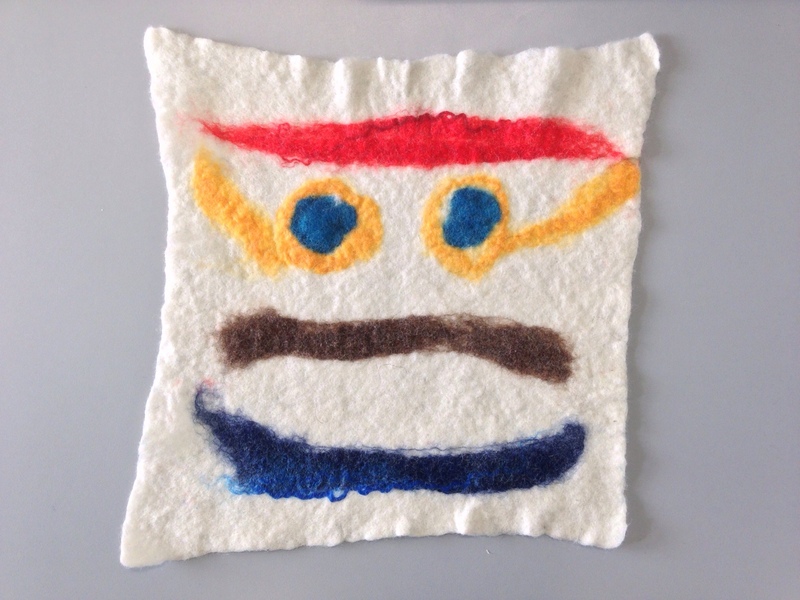 Nicola, I know this is a felting blog, but these kids are the stars of the show today. They must have thought it was magic! 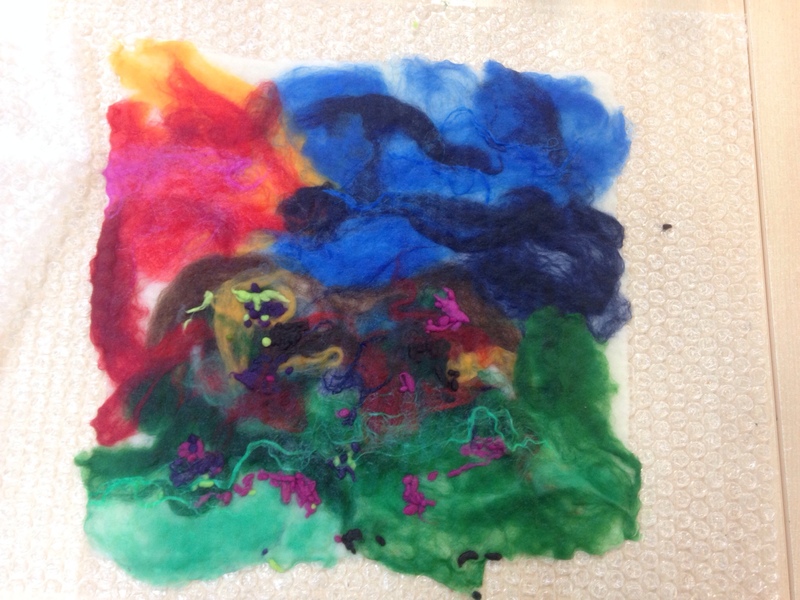 I love introducing kids to new crafts and seeing their interpretations. The work they did could be a quilt!